In 2010, Suzie & Warrick Denize got a visit from Sir Peter Jackson then scouting locations for his new movie, « The Hobbit: An unexpected Journey ». After eight months of planning, he brought 500 technicians and actors to the Mangaotaki Valley and filmed there for one week. The whole segment lasts about 20 minutes making it the location in New Zealand with the most screen time. Happy to share their adventure, Suzie & Warrick have decided to open their little piece of heaven to the public. « Hairy Feet » was born! Today, they offer personal guided tours through their stunning property in the Waitomo region in New Zealand. Suzie brings you on the exact filming locations and tells you where the actors were sitting exactly. She helps you set up the perfect photo and even provides props making it so fun and unique. She is passionate and loves to share her personal experiences with the actors and crew with tons of funny behind-the-scenes anecdotes. 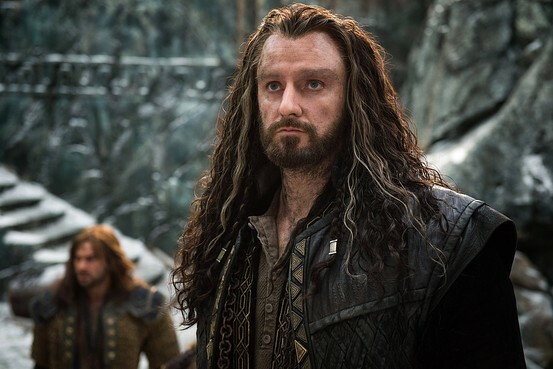 One of them, for example, is that the actor Richard Armitage (Thorin) would completely isolate himself from everyone, even during the breaks, to stay in character. Wether you’re a fan of the movies or not, you’ll definitely enjoy the tour with its breathtaking sceneries. The valley is surrounded by magnificent limestone cliffs, lush forests and thousands of massive stones seemingly coming out of nowhere. No wonder why Sir Peter Jackson chose this beautiful fairy tale location!